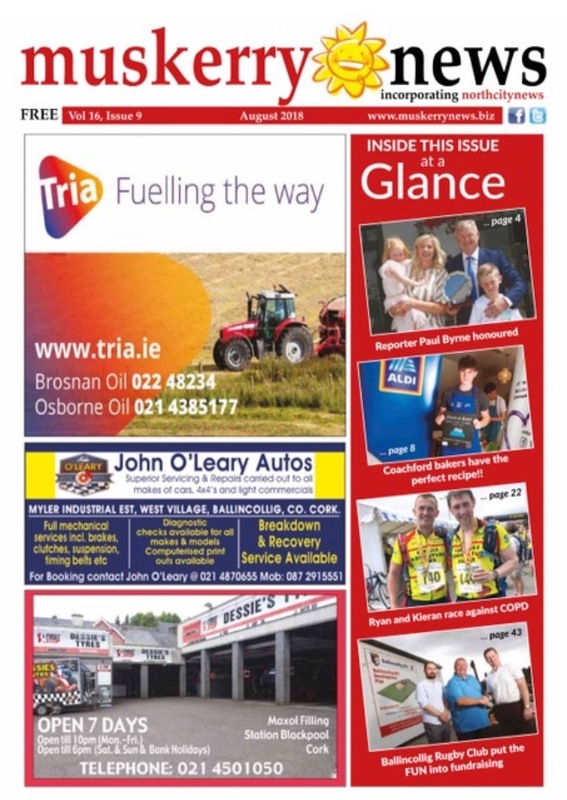 Muskerry News | August edition out now! The August edition of The Muskerry News is out today in all usual outlets and online for our overseas readers. With the chance to win a pair of tickets to The Lonesome West at The Everyman, a trip behind Castle Walls with Adam Whitbourn and news and photos from Blarney, Coachford, Donoughmore, Rathpeacon, Dripsey, Ballincollig and more. Make sure you pick up your copy!